The horsemen’s accommodation before the days of tractors, LUND FARM COTTAGE is the three-bedroom self-contained wing of our 18th century farmhouse. 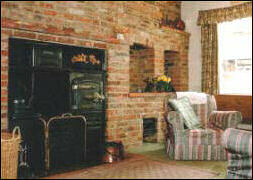 The centrepiece is the original black cast iron kitchen range set in a mellow feature brick wall in the pine-beamed lounge area. It’s lovely for fires on winter evenings (we provide coal, logs and toasting forks) but we also offer modern heating and cooking facilities as we know you can take the 18th century experience too far. 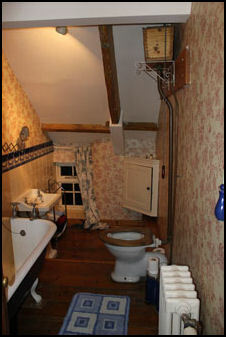 Upstairs is a very large double room with en-suite bathroom, and the original farmhouse bathroom provides a large en-suite bath and shower room for a further suite of two twin rooms, one of which, with its sloping ceiling, is popular with children and overlooks the back garden. 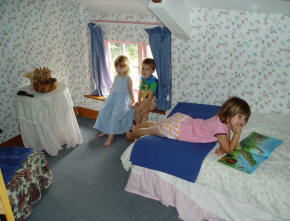 Lund Farm Cottage faces the farmyard, and has a sizeable, enclosed private patio and lawn to the rear with a sandpit, slide and garden games. 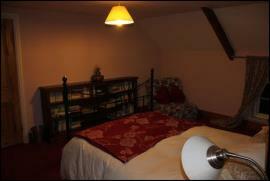 It is fully equipped for 6, including children of any age. We supply a high chair and stair gate if required. 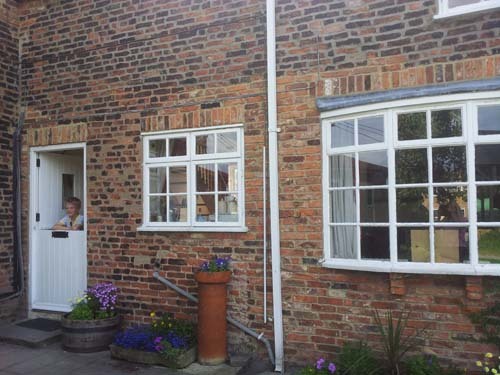 Lund Farm child-friendly holiday accommodation near Selby, North Yorkshire, comes complete with microwave, barbecue and washing machine, and all our prices are fully inclusive of electricity, linen, towels, coal, logs and fresh eggs which you can send the children to collect from the hens. No coin-in-the-slot meters here! Children love the different farm animals and we are only around 30 minutes drive from York, there is a frequent park and ride service from the York Designer Outlet Village into the centre of York. 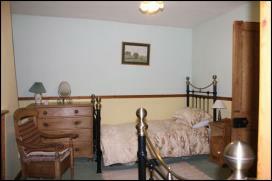 More pictures can be seen below of the different rooms in our large cottage which sleeps six.